Bryn Craig was born in 1931 in Lansdale, PA. He studied at the Philadelphia Museum College of Art and with the Art Students League of New York, and taught at the Philadelphia Museum College of Art. At 83, Craig is represented by three galleries, and continues to create. The artist’s work explores the relationship between people and interiors. Many of his canvases are filled with a subtle moodiness and subdued emptiness. He distorts rooms, elongates perspectives, or skews proportion of items in order to convey the real essence of a place. Craig writes, “Although my work is representational, I am definitely not a photo realist. I try to include much more than just the surface of a place. 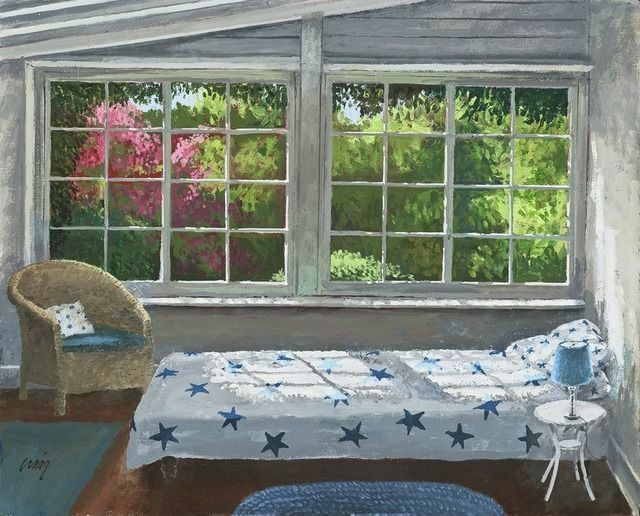 I want to express my emotions about the subject and to stimulate emotions in the viewer.” To me, Craig’s painting above conveys the strangeness one feels when they are staying at a friend’s house on vacation – the uncanny sensation that a room is yours, but also is not home. Those silent moments of being alone in a shared vacation home, perhaps on the Cape, can be calming but also disorienting. Craig’s process involves photographing one location at various times of day, and from many angles. Although he uses the snaps to direct some of his painting, he is not concerned if a lighting fixture is out of place, or a building changes colors. In this way, his works become a sort of fantasy invention. Drawing from his travels as well as from his commonplace interiors, Craig’s paintings are imbued with color, feeling and texture. If I am randomly perusing bookshelves, the bookstore, online or a friend’s library, I almost always choose a book by its cover. Typography, color palettes, art direction, title and illustration all come together to make my perfect publication. Often times, the covers themselves are works of art, worthy of being blown up, printed and displayed. On the subway, or while reading at the beach, I excitedly display the cover, proud of my choice – a statement about myself. I know the cliche says DON’T, but for inspiration, I JUDGE A BOOK BY ITS COVER. BOOK: Look Both Ways by Debbie Millman, Publication Date: October 23, 2009, Designer: Rodrigo Corral, Typeface: Champion Gothic via The Book Cover Archive. ROOM: A circus colored sitting room; Southampton, USA. Cynthia Frank, Timothy Haynes, Kevin Roberts. Interior photo from Elle Decor found via Oana Singa Blog. 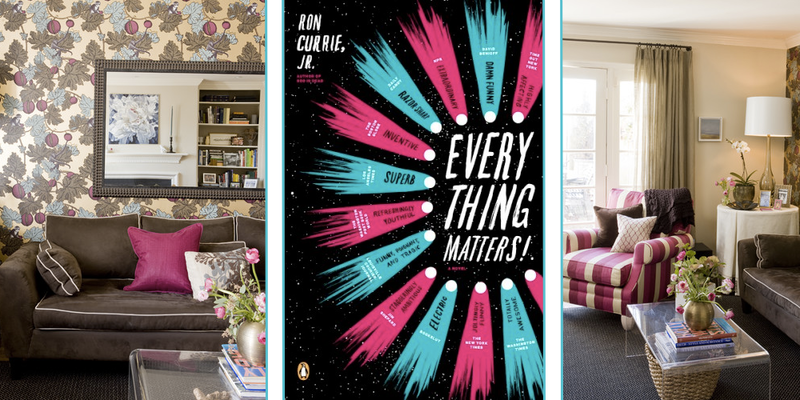 BOOK: Everything Matters! by Ron Currie Jr, Publication Date: June 25, 2009, Designer: Isaac Tobin via The Book Cover Archive. ROOM: A Georgetown residence presents a twirl on a traditional Federal style row house. Mingling old and new with the bold wallpaper and beautiful colors – pink, blue, black – makes this small space a real stunner. Photos by Angie Seckinger. Design by Liz Levin via Houzz. 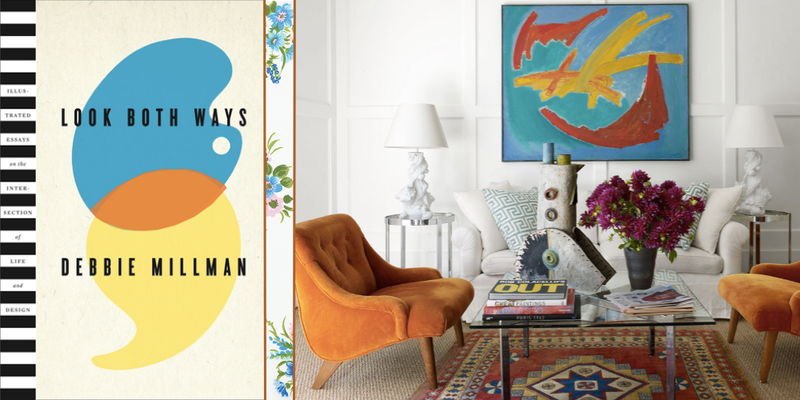 Just as its a challenge for a designer to condense the meaning of an entire book into its first glance, jacket cover – so too, it is difficult to encapsulate one’s life and style into a home. But we continue to try! BOOK: The Whale by Philip Hoare, Publication Date: February 1, 2010, Designer: Allison Saltzman via The Book Cover Archive. ROOM: This Nantucket vacation spot was renovated by Scott Hutton, of notable Lyman Perry Architects. 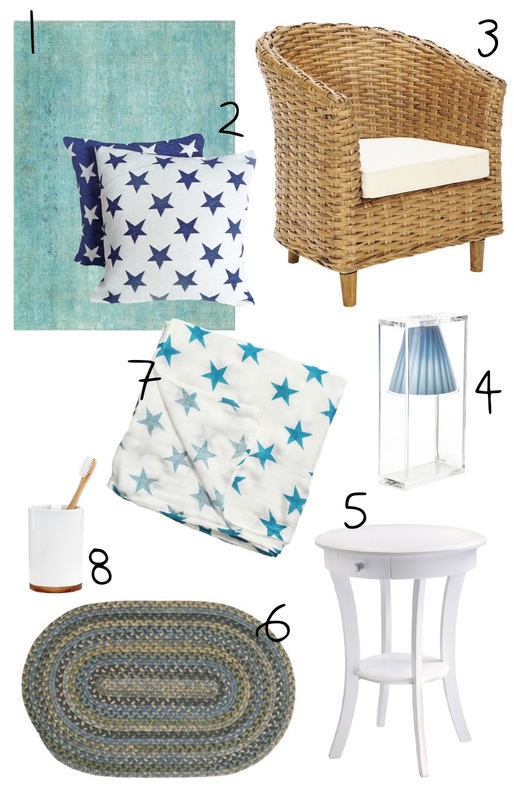 The retreat evokes the sea with gentle greens, hues of blue, wave patterns and shabby, sea glass, and cottage details via New England Home. BOOK: The Sheriff Of Yrnameer by Michael Rubens, Publication Date: August 4, 2009, Designer: Peter Mendelsund, Typeface: Trade Gothic via The Book Cover Archive. ROOM: A modern, bright entryway created by Jill Sorensen of Marmalade Interiors via Houzz exudes eclectic accents, angles and disparate genres (Stenciled Zebra Rugs meets Colonial Gilded Frame). 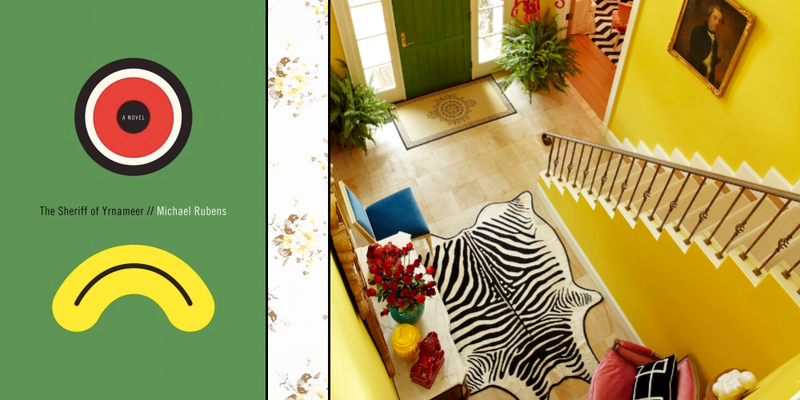 Vibrant colors (specifically Benjamin Moore – Goldfield Yellow) create a happy home. 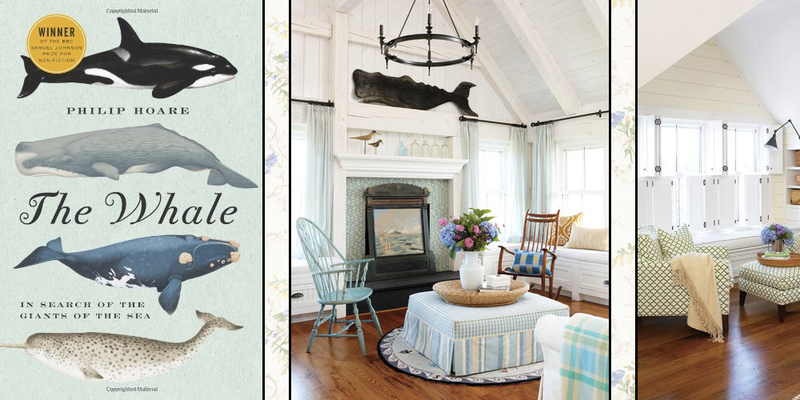 What book would you choose to inspire your favorite room?